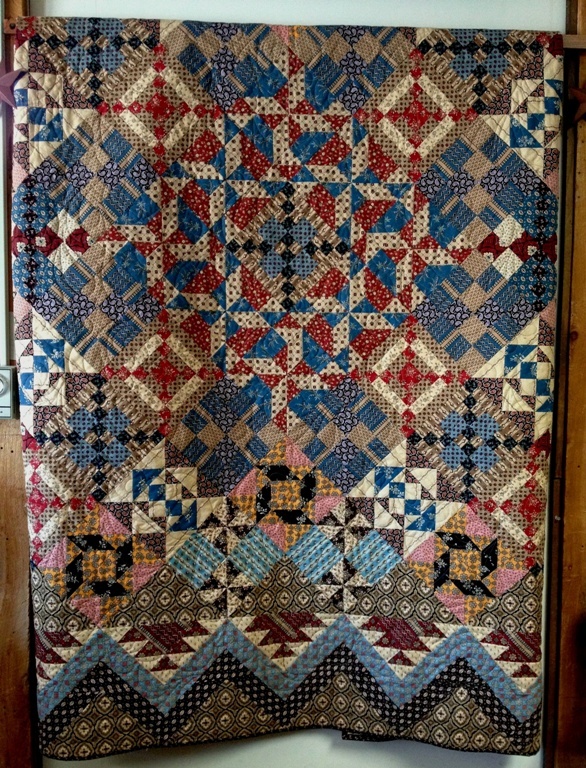 Quilting Adventures: Keeping with the pace .....! Your quilt is gorgeous and I know how beautiful they are in person;) I was all set to quilt, then my machine broke, so she is being fixed, so hand quilting for now. That quilt looks fabulous. I'll bet it feels great to reduce the number if UFOs too. Looking forward to seeing what you are working on. Your Civil War Melodies is beyond exquisite, Carole. What a treasure that is! And I'm in L-O-V-E with your little redwork cutie. If I lived closer, I'd come in and help you with the bindings because I too can;t wait to see what you've been working on. Hi Carole! Glad to see your post. You are making great progress on your push to finish quilts. I've been pushing the same way - the long list of finished tops has really been bothering me. Civil War Melodies is FABULOUS! I adore those fabrics - and those colors! The embroidery is so cute. I'm glad to see you use the word "embroidery" - that's the word I grew up with and the skill I've learned. Now it is all "stitchery", which doesn't sound right to my ears. Oooh, I can't wait to see that stack of finished quilts. What a darling little embroidery. 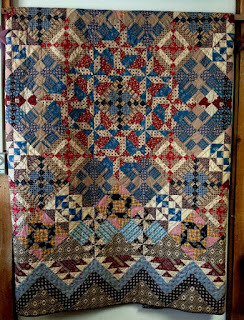 And that quilt is gorgeous. You're one busy girl!!! Congrats on getting the UFO pile down. Can't wait to see them. I love the little redwork.